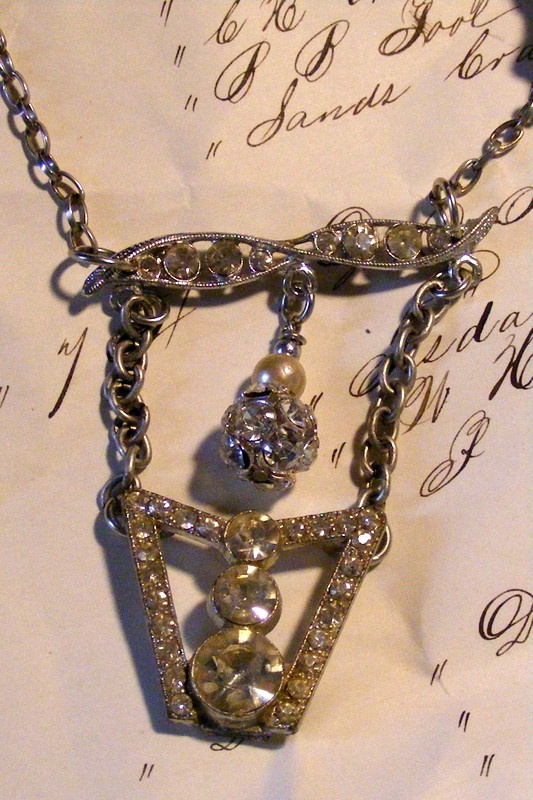 Lots of Vintage shimmer and sparkle on this Necklace that measures 21-1/2". 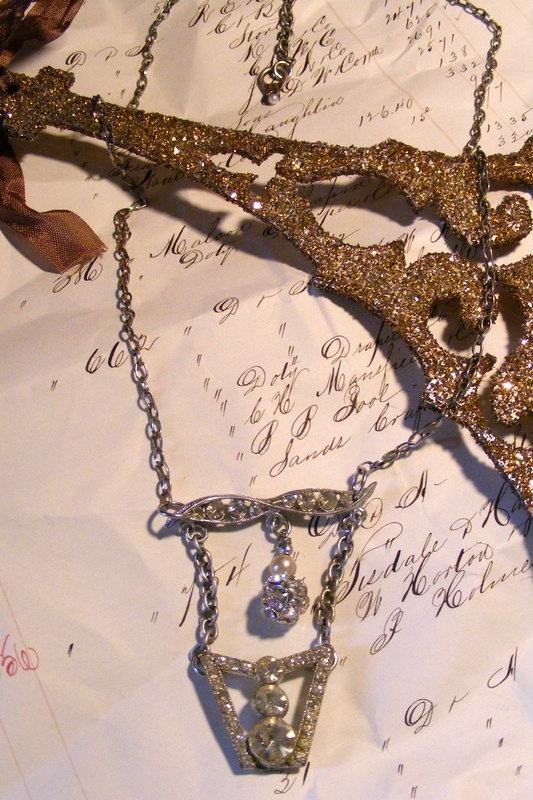 Vintage rhinestone deconstructed brooch now serves as centerpiece. A loveley rhinestone disco ball swings below. 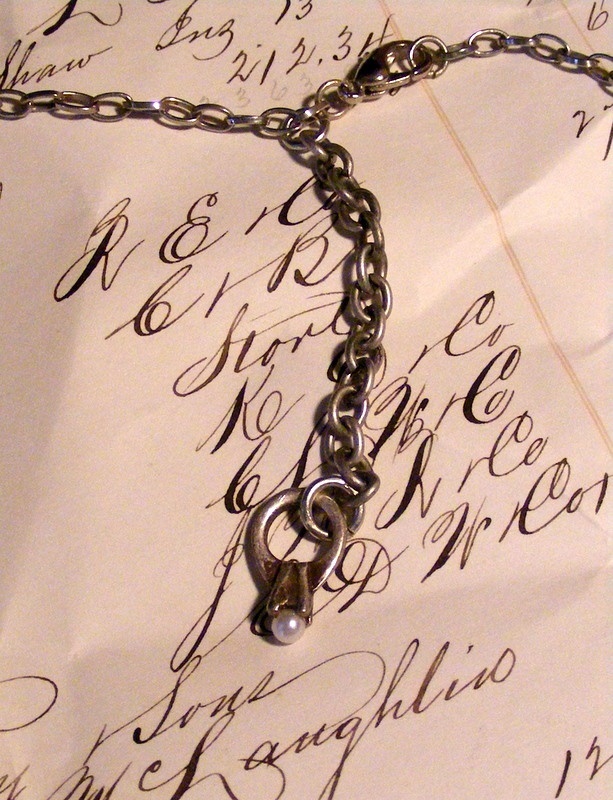 A gorgeous Revamped sweater clip is also part of the new pendant. This is a truely Silver sparkling beauty.